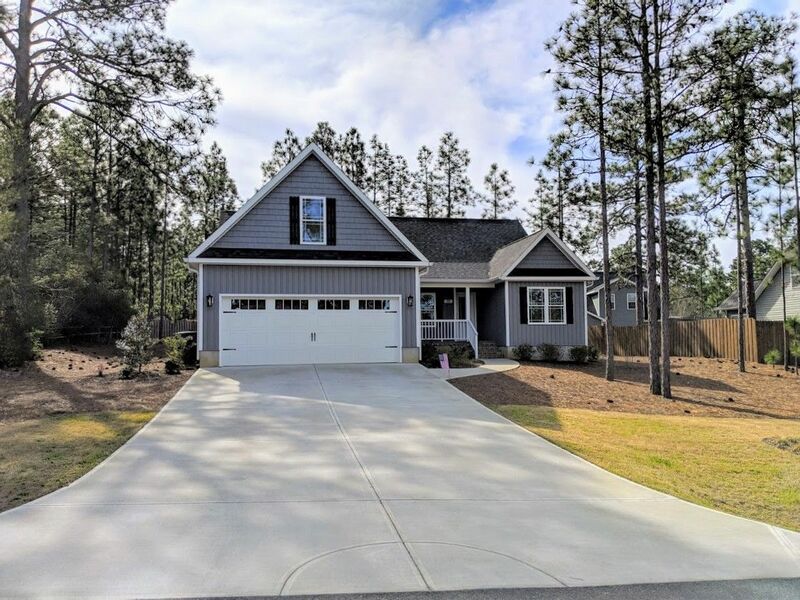 Newer Pinehurst home in a great location! Perfect split floor plan with all of the bedrooms located on the main level, and an upstairs bonus room that would make a great hobby room, office, or could be used as a 4th bedroom. Upgrades galore! Walking into the home you will find wood floors in the main living areas, a dining area, open living room with vaulted ceilings and a cozy fireplace, spacious kitchen with tile backsplash, granite counter tops, breakfast nook, soft-close cabinets, under cabinet lighting, stainless steel appliances, under-mount sink, and a large pantry just to name a few. The Master suite offers a large walk-in closet, separate shower, large tub, granite vanity, and tile floors. The list just keeps going! Enjoy the screen porch and patio for entertaining friends or simply to relax. Plenty of attic storage a covered front porch, plus Moore! Hurry to see what 70 New Bedford Circle has to offer!